If you are located in Orange county and have received our full-service waterproofing & coating contractor located in Orange County then we want to hear from you. Have we provided you with our excellent below grade waterproofing, deck coating, industrial coating or concrete surface restoration? Be the first to s hare your positive customer experience with everyone on our Google+ page . If your residential home or commercial building has a basement area that is located below the surface grade, you may want to consider below grade waterproofing services . 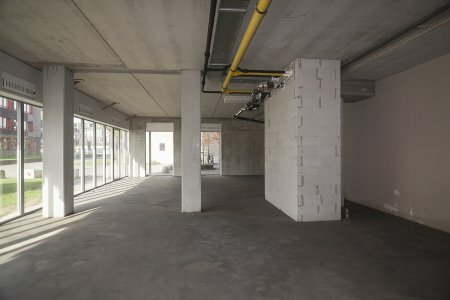 While below grade areas can be highly functional spaces in any building, these areas are also more susceptible to the dangers of flooding and water damage. 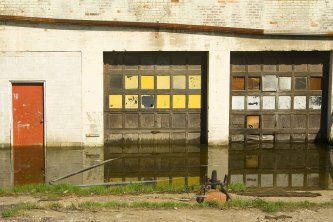 By scheduling waterproofing for the below grade areas of your building, you can rest assured that your property and belongings are fully protected from the dangers of water damage. During the below grade waterproofing process, a contractor will use specialized materials to fully waterproof the walls and floors of your space. A company that offers epoxy coating and commercial epoxy flooring can also assist you with your waterproofing needs. By working with a highly rated Irvine epoxy coating company, you can feel great knowing that your below grade areas are completely waterproof and protected from potential damage. When you are planning an epoxy coating project for your flooring surface, it is important to choose the right epoxy floor coating that best suits your needs. For example, garage floor epoxy is available in a variety of thicknesses and styles that can be customized to meet your requirements for durability, functionality, and beauty. A coating contractor serving Irvine can help you select and install the perfect epoxy coating for your floor. By working with a qualified epoxy coating contractor , you can rest assured that your new floor will be of the highest quality. Read on for some helpful guidelines for choosing the right epoxy floor coating. The first step of choosing an epoxy floor coating is to evaluate the flooring surface that will receive the epoxy coating. If your concrete floor has any cracks or damage, you may need to have your contractor patch or repair your floors before the coating can be applied. By choosing the right surface preparation, you can ensure that your epoxy floor coating will last for many years. Another factor to consider when you are choosing an epoxy coating is the performance requirements that you anticipate for your floor. For example, if your floor will be bearing heavy loads, it is a good idea to choose a thicker coating system. Other performance requirements to consider include chemical exposure, thermal shock, and abrasion. By choosing an epoxy coating that can meet up to these conditions, you are sure to be pleased with your new floor. When you are choosing an epoxy floor coating, it is also highly important that you select a coating that is the proper thickness for your needs. A thin film coating will be up to 10 mils thick, whereas a high build coating will be up to 30 mils thick. Your coating contractor can help you with your epoxy coating selection. If you are seeking a durable and versatile solution for your garage floor, you may want to choose a garage floor coating installation . When you treat your concrete floors with garage floor epoxy, you will create a strong and waterproof surface that also offers slip resistance. 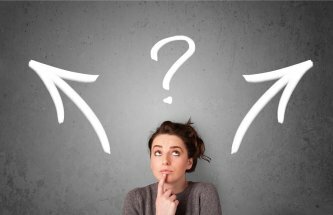 During the planning stages of your epoxy coating installation, you will need to choose what type of coating will best suit your needs. A highly rated coating contractor in Orange County can provide you with all of the information you need about the different types of garage floor coatings. Read on for more information about three popular epoxy coating options. Solvent borne epoxy was one of the first floor coatings ever created. This type of epoxy coating relies on a mixture of epoxy and solvent. The solvent thins down the epoxy so that it can be easily applied to the surface of the concrete. As the solvent dries, it evaporates, leaving only the epoxy behind. Solvent borne epoxy coatings are very cohesive, and can be applied in a very thin layer across the surface of the concrete. Like solvent borne epoxy, waterborne epoxy consists of a mixture of epoxy and a liquid solution. However, this type of epoxy coating uses water as its main ingredient. Waterborne epoxy coatings are nontoxic, and are therefore safe to use in enclosed areas. In addition, waterborne coatings can be cleaned up with water based materials. Typically, this type of epoxy coating is used only on concrete. A solids epoxy is very different from its solvent borne or waterborne counterparts. This type of epoxy does not have a liquid solution to carry the instead. Instead, the coating is made up of a 100% epoxy mixture. This type of coating is highly viscous, so it must be applied in thicker layers. Your epoxy coating technician can help you choose the right coating style for your specific application. Whether you have a concrete garage, deck, or other concrete surface, your concrete will eventually begin to age and wear over time. 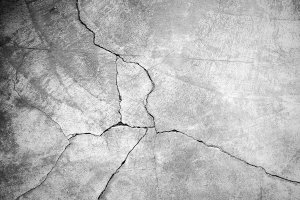 If you have noticed that your concrete is cracking or fading, it may be time for a concrete restoration project. 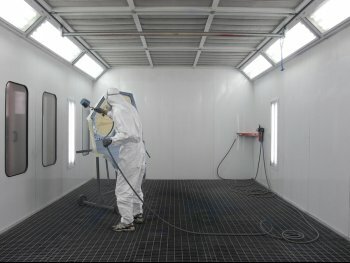 When you work with an Orange County epoxy coating company , you will have many restoration options to choose from. For example, you can clean and seal your concrete floors with an epoxy floor coating. 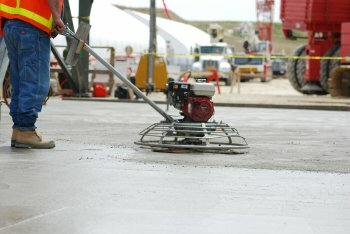 You can also choose concrete repair services, which will remove any cracks or chips from the surface of your concrete. In addition, you can also restore your concrete with overlayment or overlay stamping. To enhance the appearance of your aging concrete, you may also want to choose from the epoxy coating colors and decorative finishes that are available to you. After your restoration project is complete, you are sure to be thrilled with the beautiful new appearance of your concrete. What Are the Steps of Applying a Garage Floor Coating? A garage floor coating will enhance the safety, durability, and beauty of your garage. By scheduling an epoxy garage floor coating installation for your garage, you will completely transform your space. If you are considering a garage floor coating for your home, you may be wondering about how the installation process works. An expert coating contractor serving Orange County will provide you with top quality service, throughout each phase of the installation process. With an expert garage floor coating installation, you will be able to get the best use out of your garage. Read on to learn more about the steps of applying a coating to a garage floor. Before a garage floor coating can be applied, the surface of the concrete must be completely clean and free of any dirt or debris. During the first phase of a garage coating installation, a technician will thoroughly clean your garage floors with a power scrubbing system. A clean concrete surface will ensure that the coating is able to adhere to the garage floor. Occasionally, a concrete garage floor will have small cracks or areas of damage. Before the coating is applied, the technician must also make sure that all of these cracks are completely filled. To fill the cracks, the technician can use an epoxy paste. Once the paste is applied, it is scraped down so that the entire surface of the floor is level. Once the garage floor has been cleaned and filled, it will be time to lay down the coating. Typically, epoxy floor coatings are applied in three layers. First, a primer is applied and left to dry. Next, a base coat and top coat are applied to the primer surface. Once these layers have dried, you will be able to start using your newly coated garage floor. Review us on our Google+ page. Has our Garage Rehab helped repair your garage? Share your positve customer experience with everyone on our Google+ page . If you are seeking a great way to spruce up the look and feel of your garage, you may want to consider a garage floor coating. Garage floor epoxy is easy to install, and it is available in a variety of beautiful colors. When you install epoxy garage floor coating , you are sure to love your brand new garage floor. A company offering garage floor coating in Orange County can assist you with your garage floor installation needs. With professional epoxy coating services, your garage floor installation will be completed quickly and easily. Read on to learn more about the benefits of epoxy garage floor paint. One of the main benefits of installing epoxy garage floor paint is its fantastic appearance. When you choose epoxy floors for your garage, you will have many different colors and styles to choose from. After you cover your garage in epoxy floor coating, you will be amazed at the visual transformation of your space. Epoxy floor coating is a terrific way to give your garage a visual makeover. Epoxy floor coating is also very simple to install when you work with a floor coating professional. This type of floor renovation can be completed in a few simple and easy steps. By offering an ease of installation, epoxy floors are a convenient way to improve the appearance and durability of your garage floor. Your epoxy coating expert can provide you with more information about your installation options. Epoxy floor coating will also improve the overall durability of your garage floor. When you install epoxy floor coating, your garage floor will be resistant to water, stains, spills, and more. This floor coating option is a terrific way to preserve the quality and condition of your garage floors for an extended period of time. You are sure to be pleased with your wonderful new epoxy garage floors. When your concrete garage floor or driveway becomes damaged, it is extremely important to schedule repairs right away. With concrete restoration services , you can restore the quality and condition of your concrete surfaces. To prevent concrete damage in the first place, you can choose commercial epoxy floor coatings. 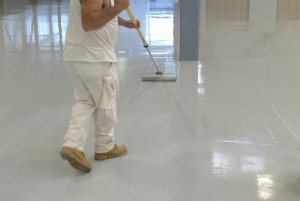 With the services of a company that offers commercial epoxy floor coatings near Orange County, you can rest assured that your concrete will last for years to come. If your concrete driveway or garage is in need of maintenance, here is a look at some of the common concrete repair methods that will be available to you. Epoxy injection is a terrific method for repairing minor cracks or chips in concrete . With epoxy injection, a material that is similar to epoxy floor coating is used to mend any problematic areas in the surface of your concrete. Before this treatment can be applied, the technician must ensure that the surface of the concrete is completely clean and clear of debris. Once the surface has been cleaned, the epoxy injection can be applied. Routing and sealing is a common repair method for concrete that contains damage over a large area. With routing and sealing, the technician will use a specialized sealant product to cover any large cracks or chips. This type of concrete repair offers terrific durability against water and inclement weather, so you can rest assured that your repair will last for many years to come. Another method for repairing severely damaged concrete is stitching. With a stitching repair procedure, the technician will drill carefully placed holes along the surface of the concrete. Once the holes have been drilled, they can be used to stabilize staples that are placed along each crack. These staples will hold the damaged concrete in place.